If you thought apps were just for fun and games, time to think again. There are many apps directed at improving the work experience for all types of fields. Many of which are dedicated to health care professionals. From accessing medication to collaborating with other doctors, health care professionals have access to many resources through apps. First, you can improve your office processes with the help of apps- technology makes everything easier! Second, you can use them to improve your relationships with your patients. You can’t be a doctor without a patient, so it’s very important that improving these relationships be on the top of every doctor’s list. Using apps may give you the edge you are looking for. Heading into 2017, you want your doctor’s office to be up to date and modern. Use modern technology and explore what app(s) would work best in your practice. Think of it as the Facebook for doctors. 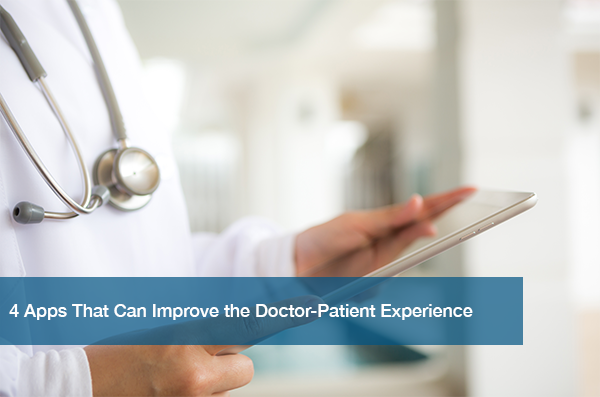 It’s one of the largest social networks for doctors looking to connect with fellow physicians from across the globe. Of course, you must go through a verification process to be accepted. However, your profile is anonymous. This allows you to feel comfortable talking about anything that’s on your mind- from patient treatment to changes in policies. SERMO also provides surveys, blogs, and videos that you can use as resources to improve your care. For doctors who see patients that have trouble with English, this app is for you. It facilitates multilingual medical visits and allows you to communicate with patients in their own language. UniversalDoctor provides 17 languages to translate your complex medical terminology. It also contains thousands of pre-translated questions, responses, and explanations for any situation you come across. There’s over 5 different versions of the app, focusing on general care to women’s health. Over 1 million medical professionals use Epocrates, and it’s easy to understand why. First, it has 12 features, including access to drug information, interactions of different medications, research abilities for alternative medicines, and so much more. According to the site, doctors can save an average of 20 minutes each day using Epocrates. When you think about it, it can save you so much time and energy! It’s exactly what it sounds like- a drawing app for medical professionals. According to the official site, you can draw pictures for your patients to improve their health literacy, decrease stress, and begin conversations. An app like this is important because not everyone is an auditory learner. So, it’s important to cater to everyone’s learning abilities. Rather explain a diagnosis to a patient, you can use DrawMD to actually show the patient what’s going on. Don’t worry, you don’t have to be an artist- there’s tons of templates ready to use. As long as you can draw an arrow, you’re good to go. These apps aren’t all free, but the cost is next to none compared to the value they will bring your doctor’s office. They not only save you immense amounts of time and energy (once you get the hang of them, of course), but will also enhance your office. They make daily practices easier and improve the relationships with your patients. Why wouldn’t you want to invest in that? If your office is needing tech help beyond apps, no worries. Schedule a free IT needs assessment today so we can discover how our Managed IT Services can help reduce the downtime in your office.